We love to teach Grand Cayman Scuba Diving. Liz and I are very proud to have built an instruction team that is passionate about their craft. 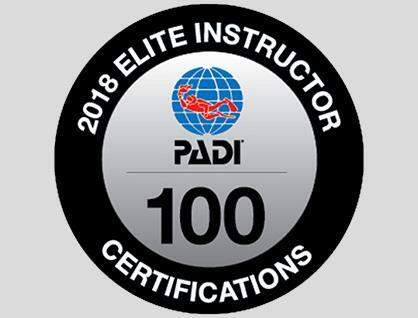 This year three of our instructors, Matt Clarke, Sydney Darrow and Nate Lancaster were awarded the coveted PADI Elite Instructor Rating. This rating distinguishes their dedication to outstanding dive instruction in 2018. What Does it mean to be a PADI Elite Instructor? PADI award the Elite Instructor rating to Instructors who have taught a qualifying amount of students and have exceeded all PADI standards. This means when an Elite Instructor is in the water they have a proven track record of PADI excellence. Choosing the right instructor can be key to your learning success. We are honored and lucky to have the best Cayman scuba diving instructors with a true passion for what they do. 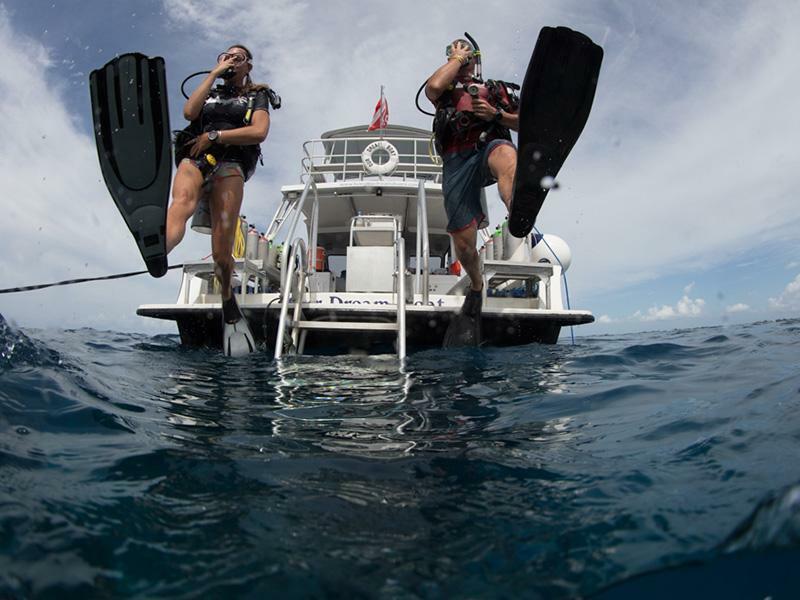 We offer Cayman Dive Instruction to all levels. Never Dived Before? Try our Discover Scuba Diving Experience. This half day experience is designed for people who have never dived or who have not had the time to get certified. The course takes approximately three hours. The experience is all about being in the water and seeing lots of cool critters. There is no boat involved which means you get ideal conditions to achieve success. We begin the experience with a short briefing that will let you know all you need to enjoy your dive safely. We then enter super shallow water and get comfortable with the equipment. No pool, you will do the course in a beautiful shallow bay right next to the dive shop. Once you are ready its time to head out and enjoy a stunning Cayman Scuba Reef Dive. This is an amazing addition to your Cayman vacation. Want To Get Certified? Its super easy to complete your entire PADI Open Water Diver Certification. The on island portion of the course takes a full day and a half. The first day begins in shallow water learning the skills. In the afternoon you do two shallow reef dives. On the second day you and your instructor go on the boat and complete your course with two beautiful boat dives. Prior to coming to the island you sign up for and complete the PADI e-learning portion which is the knowledge development section. Completing the online classroom portion before you arrive, means no time is wasted when you are are on vacation. Continuing Your Dive Education? Scuba Diving is your hobby, so why not learn all you can about the sport you love. Its fun, easy and rewarding to complete PADI advanced courses. Ask us about the Advanced Diver cert, Enriched Air or any one of the amazing specialities we offer in warm, clear water. Living The Dream Divers has offered the best dive instruction on Grand Cayman for 10 years. Take advantage of our passion for dive instruction and come learn to dive with us! We look forward to welcoming Kyle and George into the Elite Family next year.